A new beginning, a new Life.. 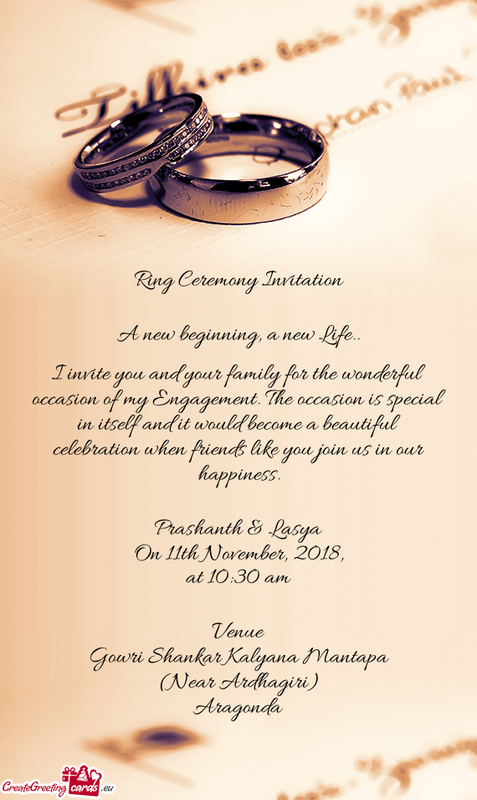 I invite you and your family for the wonderful occasion of my Engagement. The occasion is special in itself and it would become a beautiful celebration when friends like you join us in our happiness.